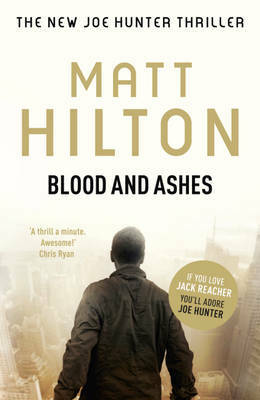 Matt Hilton is a former police office and a private security specialist. He is also high-ranking martial artist. 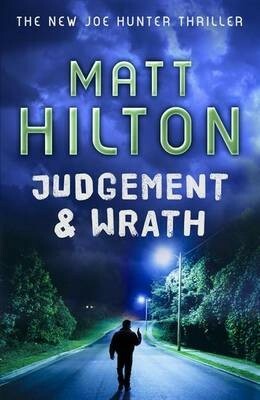 With the release of his latest Joe Hunter novel Matt has taken the time out to write about his Joe Hunter series. February 16th 2012 saw the publication in the UK of No Going Back, the seventh book in my Joe Hunter thriller series. No big deal, I hear you say. There are many authors who have a longer running series than that. I agree. What might surprise many of you is that the seventh book is published less than three years since the first in the series hit the bookshelves. It has been a wild ride for me. Keeping to a six months publication schedule has been both exhilarating and scary. And to be honest, it has been three years where I’ve barely lifted my head from my computer keyboard, other than to attend events to publicise the books that is. Not that I’m complaining. I left behind a career in the police force in order to write full time, and committed to putting in the work necessary to establish myself as an author. I’ve no regrets whatsoever, and love every minute of it. My writing day usually consists of hours at the keyboard. Not all of it is spent on the latest Joe Hunter book though, much of it is taken up by marketing, social networking, answering readers’ questions, and organizing future events and such, but I do try to write something of the latest book each day. And I do mean ‘every’ day that I’m able. I’m fortunate, I guess, in that by their nature, the Joe Hunter books don’t take many hours of plotting or researching – I tend to do both on the go – and that I prefer a write-by-the-seat-of-the-pants approach, so I do tend to get the words on the computer screen quite quickly. I tend to have an idea, or an image or scene in mind, and then go with it. Usually I have no idea where the book will take me, but I enjoy the uncertainty and the adrenalin rush that comes when the characters surprise me by their actions. Mornings generally see me reading over the previous days writing, and I do a brief edit as I go, and this usually sets me up for the next stint at the keyboard later in the afternoon. I aim to complete around two thousand words a day. For a 90K+ book, that means that a rough draft is usually sitting on my computer within a couple of months, but that rule isn’t set in stone. Lately, I’ve been doing quite a lot of travelling, and my latest rough draft took me twice as long as usual. Because of my punishing publication schedule, writing a series, with repeating characters, has felt a little like writing one continuous book. There is a time arch to the novels, plus an ongoing and developing back-story, but each book in the series is standalone, as far as it has a beginning, middle and end. Readers sometimes ask if they can pick up anywhere in the series, and, in general, I’d say yes. 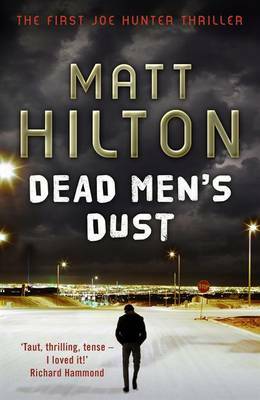 However, the first book – Dead Men’s Dust – is a pivotal moment, and goes some way in explaining how/why and where the Joe Hunter books take place. 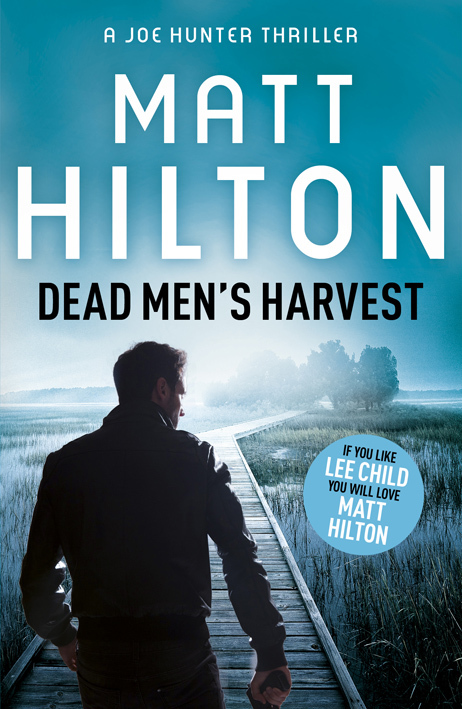 Recently, Dead Men’s Harvest, number six in the series, was published, and it is somewhat of a loose sequel to the first book, so it would be best to read those in order at least. Otherwise it’s probably OK to dip in and out at the reader’s leisure. In style or genre, I tend to describe the Joe Hunter series ‘crime thrillers’. They aren’t traditional mysteries, where there’s a puzzle to be solved. Often you know who the bad guy is, if not the motive behindtheir actions, and it’s more about ‘How the hell do we stop this?’ than it is ‘Who Done it?’. They’re more akin to the American-style thriller than your typical British crime novel (if there’s even such a thing). There’s a good reason for this, and it’s probably down to my reading inspirations more than anything. Wrongly, a number of readers and reviewers have assumed that I set out to write a series to rival Lee Child’s Jack Reacher books. I didn’t. I’m obviously now a fan of Lee and his stellar creation, but when I set out to write the series, it was with little knowledge of either. I think at the time of writing Dead Men’s Dust, I’d read Lee’s ‘The Visitor’ and ‘Trip Wire’, but that was all. They were only two of many books that I’d read, or that subliminally influenced my chosen genre. To be honest, I was attempting to re-invent the pulp fiction action books that I was so fond of while growing up in the 1970s and early 80’s. One writer I particularly enjoyed reading was Don Pendleton. 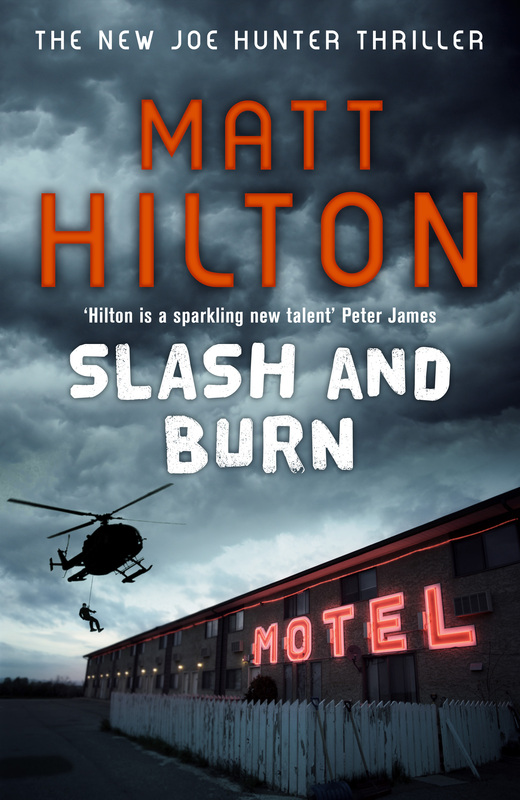 He had a character named Mack Bolan – The Executioner – a Vietnam War vet who returns home to the USA to discover his family were victims of the mob, and who sets out on a one-man vendetta to wipe out organised crime. I’m certain that Mack Bolan influenced the creation of marvel Comics’ The Punisher too. Another writing duo, Warren Murphy and Richard Sapir, wrote of a character named Remo Williams – The Destroyer – a secret government assassin. Then there was a homegrown Western series by George G Gilman (AKA Terry Harknett) that I devoured. His character was called Edge, and was an anti-hero, in the mold of the ‘Man With No Name’ Spaghetti westerns. I loved all those stories, and it was those I wanted to emulate when I began writing my own action-based books. They more than anything inspired the creation of Joe Hunter, but others helped too. Judge Dredd (a comic book character), Andra Kendrick (a swordsman from one of my unpublished books), and even the heroic fantasy heroes of Robert E Howard (Conan the Cimmerian, King Kull, Solomon Kane et al) all influenced my decision to write pacy, full-on action thrillers. It was my intention to develop a new character, with a nod towards those old pulp and comic book heroes, but in the contemporary setting of the 21st century. Here’s where I admit to being poorly read in British crime fiction. I haven’t read a single Agatha Christie or Sherlock Holmes, and of the current crop only a few Billingham’s and McDermid’s etc (though I do have a liking for Simon Kernick and Stephen Leather and have read most of theirs). I have primarily chosen to read American thrillers, and also to write in an American style. People find this unusual for an ex British Bobby, but to be honest I never wanted to write about my day job. I chose to set the books in the USA – albeit with a British hero – and instead of a cop, I wanted my lead to be an ex soldier. I wanted to get as far away from my career as a beat constable in Cumbria as possible. For me, who grew up on American books and movies, I’ve always seen the USA as a bit larger than life, a diverse nation with many theatres for action (massive cities, small towns, deserts, mountains, forests, sub-tropics and frozen north, all in one handy place), where I could get away with the hint of ‘suspension of disbelief’ necessary for the Joe Hunter books. I decided early on that I wanted pace and action in my books, and to allow my character the opportunities to get into trouble I had to give him a past, as well as the skills required to get him out of a pinch. I decided on an ex Spec-Ops assassin who was now loose in the world with all these skills, and terrible experiences behind him, with a desire to put the violent world to rights. Joe Hunter is a tough guy, and sometimes he’s uncompromising in the manner in which he deals with the bad guys. But those are intentional traits. So too is his hatred of bullying in all its forms, and his ‘dinosaur attitude’ of chivalry towards women. He’s a tad outmoded, sees (or wishes to see) the world through rose coloured spectacles, and has his own set of rules and morals that he adheres to. A bit like me, then. Unlike me, Joe acts on what he believes, and isn’t averse to bending the law where he sees fit, and tries to straighten out the bad guys with some good old fashioned vigilante action. In a sense he’s probably best described as an anti-hero: in the real world the law enforcement community wouldn’t entertain his particular brand of justice. But beyond that, he’s a good man at heart, a loyal man, and a defender of those in need of his help. I see him as a throwback to the dragon-slaying knight-errant, the wandering swordsman, or the Wild West marshal who rides into town to clean out the bad guys. He’s ‘Shane’ in a contemporary setting, as I believe is Jack Reacher, or Joe Pike, or (please insert your favourite action hero name here). But I guess that’s down to the conventions of ‘action thriller’ sub-genre rather than design. While writing the series – at the moment I’ve just finished the rough draft of book nine – Hunter changed somewhat from the initial template of lonesome vigilante. As the series progressed, then so did the character development of Hunter and the supporting cast. Nowadays the books are as much about Hunter as they are his pals Rink and Harvey, Walter Conrad, and the villains of the piece. One particular bad guy, Tubal Cain, has even endeared himself to my readers, and this a man who harvests bones from his victims! The books grew bigger and flashier, with enough action set pieces to satisfy Jason Bourne fans, and were beginning to straddle the spy thriller world as much as they did the crime thriller - not surprisingly, seeing as another of my influences was David Morrell’s superlative ‘Brotherhood of the Rose’ trilogy. But I wanted to get back to basics, and did just that with ‘No Going Back’. With this entry to the series I took Joe Hunter back to what he was at his most intrinsic level: a man who would stand up against bullies. In this case a family of bullies. The preceding Dead Men’s Harvest was a huge shoot ‘em up, with gangsters and hired killers, CIA agents and people traffickers, with the action skipping all over the USA, to England and back again to a rusting ship wallowing in a storm off the Eastern Seaboard. With No Going Back, the premise is much smaller, and self contained, where it is Joe and his wits against a family who have been abducting women, set against the backdrop of the beautiful but savage Painted Desert. 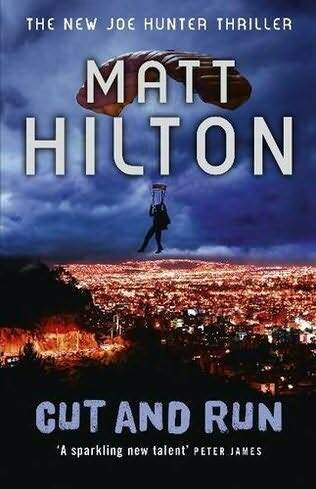 It is no less a thriller, and if anything, to me, this paring back has only made the series even better. I don’t write the books with literary prizes in mind, in fact, I know my style will have its lovers and haters, but what I do is write to entertain. A detractor complained that the Joe Hunter books were verging on pulp fiction. Little did he know is that he had given me an unintentional compliment. Hell, I am trying to bring back to life the kind of books I loved to read. You won’t learn any important lessons, or find any hidden meanings, or discover my personal political agenda in a Joe Hunter book: they’re designed to entertain. That’s it. They’re larger than life, rambunctious, with piles of action, and for that I make no apologies. The writing is pared down, hopefully accessible to all readers, male or female, and – as dark and violent as they can be - they’re also fun. Because of that, I don’t tire from writing them, and the last three years of continuous typing has past in a blur, where quite often I’ve been buzzing along on the adrenaline tide as I’ve ridden shotgun alongside Joe Hunter. If you try any of them, I hope you get a similar visceral kick.